Early access to sickle cell and thalassaemia screening is very important. The NHS Sickle Cell and Thalassaemia (SCT) Screening Programme screens pregnant women to find out if they’re at risk of having a baby with sickle cell disease or thalassaemia major (serious inherited blood conditions). Early access to screening and the early offer of prenatal diagnosis (PND) is important in giving women and couples time to consider their options. In England, between 1 April 2015 and 31 March 2016, approximately 50% of women were screened by 10 weeks gestation (the acceptable level for this standard). Women in high prevalence areas were less likely to be screened early than those in low prevalence areas. 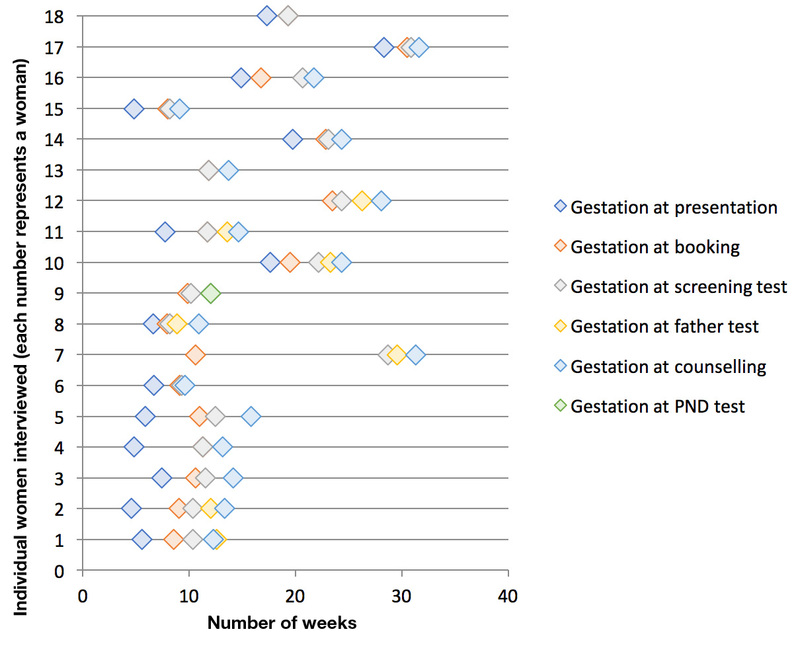 Between 1 April 2014 and 31 March 2016, only 40% of PND tests were performed by the 12 weeks and 6 days standard, representing a decline of approximately 10% compared to previous years. The acceptable level for this standard is also 50%. We (the national programme) asked a number of trusts to help identify barriers to women accessing early screening in pregnancy. The midwifery team at Sandwell and West Birmingham Hospital (SWBH) accepted our challenge. We worked with them and have learned a lot from that work. Using a simple questionnaire we mapped women’s journeys along the screening pathway. To do this we used data from the case notes of 47 women who had either accepted or declined PND because they were at increased risk of having a baby with sickle cell disease or thalassaemia. We also analysed data from a service delivery questionnaire completed by 17 midwives, a GP and a laboratory scientist. The results showed some good practice, some variation in practice but, most importantly, some areas to improve. For example, only one third of women had their sample for SCT screening taken on the same day as booking. In the chart below, each number represents a woman. For each woman we show the gestational age at significant points in the pathway. The variation in experience is clear to see. For some women there was a rapid response between presenting and counselling for PND (for example numbers 6 and 8), while others experienced long intervals even though they first presented early in pregnancy (for example numbers 5 and 7). The dedicated phone number has been communicated widely across primary care and service providers for women who are ‘out of area’. Further communication is planned with GP practices, children’s centres, health centres and women who wish to self-refer to the midwife. SWBH is working with GPs to see if haemoglobinopathy status can be added to the registration proforma for new patients. This will speed the screening pathway when referring women for maternity care. It’s early days but these actions appear to be improving results and SWBH recently achieved the 50% acceptable standard for KPI ‘timeliness of test’. When fully implemented, these changes should lead to sustainable improvements towards the 75% achievable standard. We would like to thank all the staff at SWBH who completed the audit and Julie Poultney and Amanda Hogan, from the Midlands and East QA screening team, for helping us with this work. You can access the clinical audit tool we used for this work by contacting phe.screeninghelpdesk@nhs.net.